Melis Zorluuysal has graduated from University of Maryland, Baltimore County (UMBC), Department of Psychology, with a bachelor degree and certificate for Developmental Psychology Concentration in 2004. Melis has started to attend İstanbul Bilgi University, Clinical Psychology Graduate Program in 2009. She has graduated in 2012 with a graduation project of “Emotional Support Program Designed For Mothers Of Children With Autism With The Aid Of Principles Of DIR/Floortime ™, Sensory Integration, And Dance Therapy: Hand In Hand With Autism-Support Program(HHA-SP)”. Melis developed an applied program, which consists of reinforcing the relationship between parents and children and helping parents as they experience emotional difficulties themselves, while she observed the emotional process between children and their parents. Melis completed her externship at Community Services for Autistic Adults and Children in Maryland, USA with a nine-years-old high-functioning autistic boy by applying behavioral modification therapy to improve his social, functional, academic, and language skills between years 2003–2004. At the same time, Melis was research assistant for Dr. Cindy Schaeffer's research, professor at UMBC, "Effects of Multi-Systemic Therapy on Juvenile Children. For this research, Melis collected data by interviewing volunteered parents at John Hopkins University, Research in Bay View Medical Center. Melis has worked at Tohum Autism Foundation for a month, after she moved back to Turkey at 2004. Then, she worked at İstanbul Mentally Retarded Foundation (IZEV) between 2004-2006. Her role was to train children by using individual educational therapies. Additionally, she dealt with psychological issues of children and their families. Melis worked at International Small Hands Academy as director of school and part time English teacher for two years old children. She observed development of children and generated educational programs in years of 2006-2009. In the course of her graduate study, Melis participated as research assistant. Additionally, she completed her internship at Psychological Counseling Unit of İstanbul Bilgi University as an intern therapist by applying individual therapeutic sessions to the students. She completed her externship at Günışığı Child Center. Meanwhile, Melis was co-leading voluntarily, a 12 week educational program and supervision for "caregiver mothers" of SHÇEK Bahçelievler Şeyh-Zayed Orphanage, who were working at 0-2 years old Infant House, in behalf of Minik Adımlar Project. 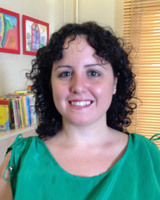 Melis joined to Günışığı Child and Family Counseling, Assessment and Educational Center in September 2011. She is a group leader of a peer interaction play group, which is consisted of 2-3 year old children. The group is conducted with the aid of DIR/Floortime Model approach. Additionally, she is educating and supporting the families. Additionally, she is applying individual sessions to children in order to support them emotionally. Also, Melis applies psychodynamic psychotherapy to adults who have emotional difficulties one day in a week. Lastly, Melis is a supervisor in a program called “Minik Yürekler” in Koç University. Members of this program are university students who are spending three hours weekly with children who are in orphanages. In 2012, she started to participate in “The Basic Course on DIR/Floortime Model”. Melis is still continuing to this program. In 2011, she attended in private and intensive DIR training conducted by DIR faculty member, Rosemary White, OTR/L. In 2011, she started to Infant Observation educational program which is handled by Tavistock Clinic and with cooperation of İstanbul Çocuk ve Genç Psikolojik Counseling Center. In 2012, Melis finished this program and received her certification. In 2008, she completed Davranış Bilimleri Enstititüsü, Child and Adolescent Psychology and Psychotherapy Preparation to the Occupation certificate program.